IKEA Transport & Logistics Services, CMA CGM, the GoodShipping Program and the Port of Rotterdam are pleased to announce the successful refuelling on Saturday March 23rd of the CMA CGM WHITE SHARK with sustainable marine bio-fuel oil. The test, which represents a major step for the decarbonisation of ocean freight, saw the companies work together in a first-of-its-kind partnership for the shipping industry. 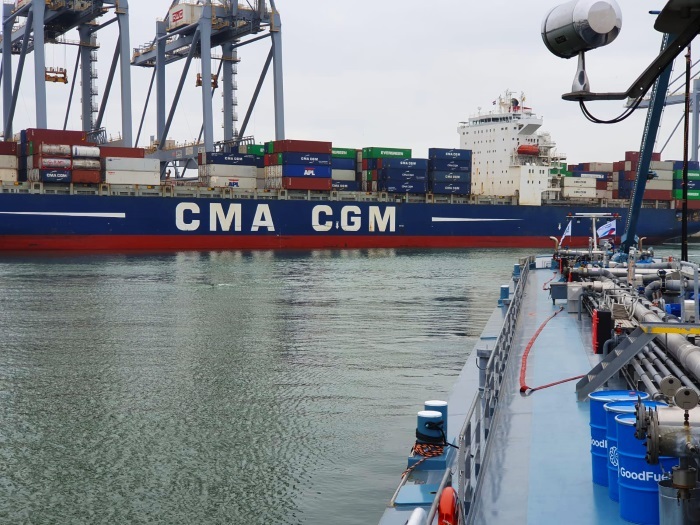 The CMA CGM WHITE SHARK, a 5,095 TEU (Twenty-foot Equivalent Unit) container vessel, was refuelled with the bio-fuel oil on Saturday while calling at Rotterdam.